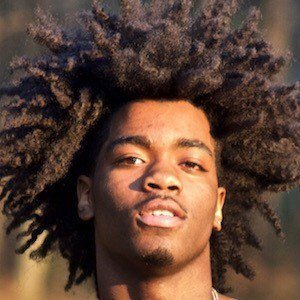 Rapper who has made a name for himself in the southern rap scene alongside his twin brother Lil Twin, with whom he formed the duo Team Twin. The brothers have gained attention for their YouTube videos, including "Dabb," "Girl Like You" and "All This Cash." He excelled in academics at North Clayton High School in Atlanta, Georgia. He is a talented dancer who danced in the music video for "Million." His real name is Tevon Hector. He has older brothers named Taz and Bam and a younger sister named Miyah. He collaborated with Bandit Gang Marco on "All This Cash."